My recent article “What Would a Tymoshenko Presidency Mean?” for the “Ukraine Alert” of Washington’s Atlantic Council has caused indignation among numerous Ukrainian experts and journalists – some of them hitherto close colleagues and professional friends. I was reacting, with this text and two longer outlines on VoxUkaine and New Eastern Europe, to a – since then continuing – series of harsh attacks on Tymoshenko in Western outlets, by the prominent commentator of post-Soviet affairs Taras Kuzio. Responding to Kuzio’s comparisons of Tymoshenko with Hugo Chavez and other, less controversial statements, I argued that Tymoshenko is leading in the polls for the presidential elections, with a wide margin. Her party too is currently ahead in the polls for the parliamentary elections, in autumn 2019. Kuzio has since rebutted my critique, in English, in the Kyiv Post, and, in Ukrainian, on VoxUkraine. The commentary is a personal opinion of the author and has not been peer reviewed by the editorial board. Obviously, there are a number of problems with Tymoshenko and her presidential bid such as her leftish populist slogans or the financial sources for her expensive electoral campaign. Yet, the fact remains that the real choice in Ukraine’s 2019 presidential elections will seemingly not be between a young reformer, on the one side, and a representative of the Kuchma-period elite, on the other, but between Poroshenko and Tymoshenko. The latter is currently far more popular than the former. Therefore, such was my argument, the West should start establishing a constructive relationship with Tymoshenko as the, so far, most likely future leader of Ukraine and with her team. As starting points for such a rapprochement, I listed some positive aspects of Tymoshenko’s possible rise in 2019 as her becoming the first female president in the Eastern Slavic world, having built a functioning nation-wide party, and having recently conducted several serious programmatic conferences with (arguably, too) many more or less original political as well as economic ideas. The libel concerning my alleged sell-out to Tymoshenko, and many less defamatory, but also dismissive comments misunderstood the purpose and context of my article in three ways. They saw it (a) as a contribution to Ukrainian rather than Western debates, (b) as an expression of a political position rather than of a policy prescription, or/and (c) as a propagation rather than introduction of Tymoshenko for the Western audience. Many unforgiving responders to my portrayal of Tymoshenko apparently either do not care much about, or do not comprehend well, the dynamics of Western discourse and policies regarding Ukraine. They do not appreciate possible after-effects that, in the Ukrainian context, well-received condemnations of Tymoshenko, such as Kuzio’s comparison of her with Hugo Chavez, have in Western capitals. Publicly warning Ukraine to not follow the path of Venezuela, in Ukrainian mass media would have been one thing. Painting such a picture in respected Western analytical outlets is a different story. The substantive motivation for my article was less any particular negative or positive trait of Tymoshenko than the results of a large October-November 2018 poll in Ukraine, by the Razumkov Center, Kyiv International Institute for Sociology, and Rating Group. These three reputed think-tanks conducted jointly a comprehensive opinion survey interviewing more than 10,000 Ukrainians. They thus used data from far more respondents than most other polling agencies usually base their predictions on. This poll did not only put Tymoshenko and her party far ahead of all competitors in the 2019 presidential and parliamentary elections. The substantive motivation for my article was less any particular negative or positive trait of Tymoshenko than the results of a large October-November 2018 poll in Ukraine, by the Razumkov Center, Kyiv International Institute for Sociology, and Rating Group. Apart from some other notable aspects, it also revealed an exceptionally high negative rating of incumbent President Petro Poroshenko who also heads an electoral bloc bearing his fore- and surname (“BPP”) and scheduled to participate in the parliamentary elections in autumn next year. Over 50% of the respondents said that they would not vote for Poroshenko, under any circumstances. The survey, moreover, predicted a clear victory of Tymoshenko in a hypothetical second round of the presidential elections where she would have beaten, according to that poll, all potential competitors. At least, as of mid-November 2018, the, by far, most likely new president of Ukraine and the probable winner of the 2019 parliamentary elections seemed to be Tymoshenko and her Fatherland party. Articles like Kuzio’s imply that this would be nothing less than a disaster for Ukraine which could become a second Venezuela. Many experts and journalists in Ukraine are less alarmist, but of largely similar opinion. Worse, such comments – when publicized in English or other European languages – fall on fertile ground among Western diplomats, foreign entrepreneurs and international aid workers. These days, many foreign partners of Kyiv are, even without the bleak prospects that Kuzio offered, uncertain about Ukraine’s future. European and North American officials, businesspeople, journalists and activists wonder about their continuing roles, impact and status within Ukraine, after the elections. Not only are apocalyptic warnings such as those by Kuzio & Co. as well other skeptical statements from within Ukraine on Tymoshenko fueling Western insecurity about the future of Ukraine’s foreign relations, developmental path, and internal stability. Many Kyiv elite members’ explicit rejection of Tymoshenko are, moreover, in stark contrast to her nation-wide relatively strong popular support, in almost all regions of Ukraine. There may be, among some public critics of Tymoshenko, hope that the harsher they attack the presidential candidate in English, the more the West will either try to prevent her victory, or attempt to neutralize the effects of Tymoshenko’s presumably calamitous presidency. Yet, this is not how the West’s international relations, in general, and interaction with Ukraine, in particular, work. Numerous Kyiv experts’ gloomy warnings concerning Tymoshenko’s rise to power may, instead, have the opposite effect in the West from what these critics might hope when voicing their apprehensions, in public or private, vis-à-vis European or American partners. At best, the representatives of Western states and organizations may, as a result, conclude that Ukraine’s relatively anti-Tymoshenko elite and pro-Tymoshenko population need to sort out relations among themselves. At worst, they will believe fully or in part dark prognoses such as those by Kuzio as well as by similarly inclined Kyiv experts, and respectively react or prepare. Contrary to what some in Kyiv may anticipate, such preparation could, however, not result in higher interest in, or better engagement with, Ukrainian domestic affairs. It may have the opposite effect of causing temporary disengagement from, or contemplating containment of cross-border instability emerging from, a soon-to-be self-destroyed Ukraine. At best, the representatives of Western states and organizations may, as a result, conclude that Ukraine’s relatively anti-Tymoshenko elite and pro-Tymoshenko population need to sort out relations among themselves. At worst, they will believe fully or in part dark prognoses such as those by Kuzio as well as by similarly inclined Kyiv experts, and respectively react or prepare. If indeed Chavez Number Two (Tymoshenko) is about to start ruling Ukraine in spring 2019, as Kuzio and others insinuate, Western actors may not be asking themselves how to prevent or constrain such a disastrous turn of events. Instead, they may start calculating how to minimize the effects, on their own countries, of an East European Venezuela. 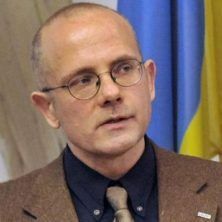 Currently mobilized Western political, economic and non-governmental actors who take seriously Kuzio’s gloomy predictions, on reputed Western expert outlets, for a Ukraine under Tymoshenko may decide to put on hold their collaboration with, or to simply withdraw from, Ukraine. Some actors are now, in any way, adopting a wait-and-see approach until it becomes clear how things develop after the elections. If Kuzio & Co. want to further postpone Western investments in, projects for, and cooperation with, Ukraine, they should continue their alarmist campaign against Tymoshenko, in Western outlets. They may succeed to trigger more freezing of activities of Western risk-averse partners in Ukraine. Continuing talk of imminent Kyiv chaos, Ukrainian decay, reform reversal etc. may result in more Western cautiousness and bewilderment. It can lead to reorientation towards more predictable other investment destinations, by economic or financial actors, or towards equally burning, yet less confusing challenges of current world politics, by political or diplomatic actors. Something similar, by the way, goes with regard to the narrative of Petro Poroshenko as a Yanukovych Number Two – at least, if such equations are pronounced vis-à-vis Western partners. There are today a number of Ukrainian civic activists and political oppositionists who have, over the last four years, become extremely disenchanted with Ukraine’s fifth president and his half-hearted reform-efforts. As a result, more and more reputed NGO representative and political journalists are starting to talk of his rule since 2014 as a repetition of Viktor Yanukovych’s reign from 2010 to 2014. Such hyperbolic condemnation of Poroshenko via identification with Ukraine’s fourth president is being voiced in Ukrainian, but also in English at Western conferences and websites. It can be as frustrating for foreign actors and observers related to Ukraine, as Kuzio’s comparison of Tymoshenko with Chavez. If things are or will become as bad as these allegories suggest, it would seem to make little sense for the West to cooperate, engage and integrate with Ukraine. Even more subversive foreign after-effects are contained in the, among some Ukrainian critics of Tymoshenko, popular reference to the infamous 2009 gas contract signed between Naftohaz and Gazprom when Tymoshenko was Ukraine’s prime-minister. Rather than explaining this problematic treaty as a result of enormous foreign pressures on Kyiv, at the moment of the Russian-Ukrainian agreement’s signing, some opponents of Tymoshenko see her behavior in January 2009 as self-serving, or even as criminal, if not treacherous. If one takes this narrative seriously, Yanukovych’s imprisonment of Tymoshenko in 2011 was apparently a justified measure. Even more subversive foreign after-effects are contained in the, among some Ukrainian critics of Tymoshenko, popular reference to the infamous 2009 gas contract signed between Naftohaz and Gazprom when Tymoshenko was Ukraine’s prime-minister. Rather than explaining this problematic treaty as a result of enormous foreign pressures on Kyiv, at the moment of the Russian-Ukrainian agreement’s signing, some opponents of Tymoshenko see her behavior in January 2009 as self-serving, or even as criminal, if not treacherous. Moreover, the EU’s immediate demand of a release of Tymoshenko in 2011 and Brussels’s staunch insistence on her freeing until she was finally released in February 2014 was the, so it would seem, either mistaken or duplicitous. Worse, Yanukovych’s postponement of the signing of the EU’s Association Agreement was then apparently justified too. Ukraine’s fourth President was in no position to follow-up on Brussels’s condition that Tymoshenko should be released for the mammoth treaty to be signed, at the 2013 Eastern Partnership Summit in Vilnius. In late 2013, Yanukovych, it would thus appear, was defending Ukraine’s rule of law while the EU was trying use its leverage to get the political felon Tymoshenko out of jail. Only Vladimir Putin was, it seems, seriously trying to help the embattled Ukrainian rule-of-law-defender Viktor Yanukovych. The Euromaidan uprising was apparently based on a misunderstanding: Yanukovych had been merely trying to preserve Ukrainian justice against the EU’s attempt to save Tymoshenko from responsibility for her deceitful actions. If that is indeed how the Ukrainian regime change of 2013-2014 came about, the EU may want to cancel its Association Agreement with Ukraine, reduce economic sanctions against Putin’s Russia, withdraw its financial help for Kyiv, make Yanukovych a candidate for its next Sakharov Prize etc. The Western public continues to have relatively little factual knowledge about and deeper understanding of Ukrainian domestic and foreign affairs. Ukrainian-language domestic political bickering within Kyiv, and English-language foreign political communication about Ukraine’s upcoming elections are, therefore, two different showgrounds. Had Kuzio published his attacks on Tymoshenko in Ukrainian language for a Ukrainian audience, I would not have bothered to write a rebuttal. I may have, instead, simply enjoyed reading his overarching critique and bold comparisons of Ukraine’s 5.3-foot petite female presidential candidate. The Western public continues to have relatively little factual knowledge about and deeper understanding of Ukrainian domestic and foreign affairs. Ukrainian-language domestic political bickering within Kyiv, and English-language foreign political communication about Ukraine’s upcoming elections are, therefore, two different showgrounds. 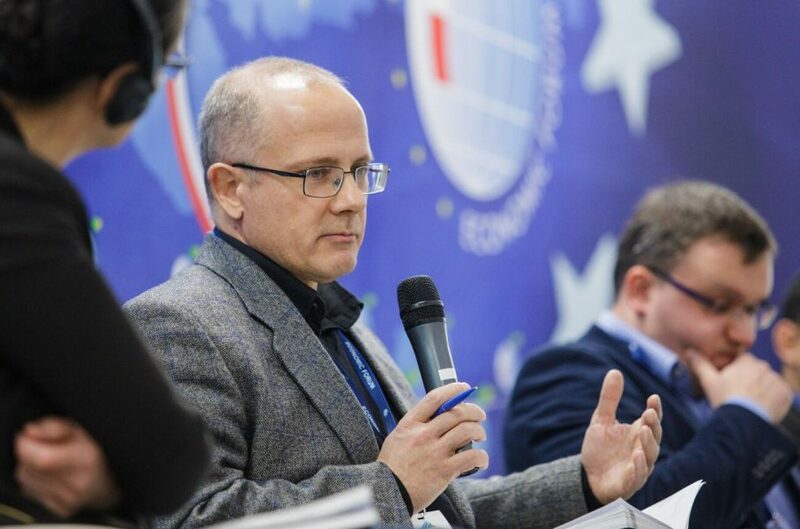 Yet, Kuzio had chosen influential Western analytical outlets such as Washington’s Atlantic Council website and Warsaw’s New Eastern Europe journal, as platforms for his strident attacks on Tymoshenko. He did so against the background of a dearth of other assessments of Tymoshenko as well as of analyses of her more and more likely electoral victory next year. I fear that, in the West, some may – as a result of Kuzio’s assessments – see a possible Tymoshenko triumph in the 2019 elections as the beginning of the end of Ukraine. A possible reduction of such uncertainty was the sole purpose of, and – alas – only gratification for my, articles “What Would a Tymoshenko Presidency Mean?” for the Atlantic Council, and “As Good as It Gets” for VoxUkraine.